3D printing technologies are today used for different patient related treatments in the medical industry. One of the key areas where it is most widely applied is in the development of models used for planning and preparation aid in surgical work. With respect to human implant applications, 3D printing tools have been used to produce mainly metallic parts for structural purposes in orthopaedic, spinal and craniomaxillofacial areas. Several studies indicate that not all patients can tolerate metallic (especially those containing Nickel, Cobalt and Chromium) based implants expressing immunological allergy indications due to metallic ions. Research on non-metallic materials such as mineral based ceramics and certain class of polymeric materials show that these materials are biocompatible and without proven immunological reactions. Over the past 20 years, there has been a surge at both experimental and practice based fields to apply PEEK (Polyetheretherketone) in a range of human implant scenarios. PEEK is known to exhibit outstanding mechanical and biocompatible properties. It has a modulus which is closer to human bone than any metallic implant material and thus is preferred in medical bone implant applications where stress-shielding is a potential bio-mechanical challenge. Due to its relatively lower load-bearing capacity relative to metallic materials, PEEK has gained wider usage in the craniomaxillofacial and spine implant based treatments. Owing to its thermal conductive properties, PEEK implants serve as better insulators in cases of extreme cold or hot temperatures than metallic based implants. Prepared surfaces of PEEK implants shows good osseointegration making possible an accelerated healing process. PEEK is X-ray transparent making its use as implant especially beneficial since monitoring of tissues and bone growth around the PEEK implants is artefact-free under imaging conditions unlike as is typically observed for metallic implants X-ray images. Due to its elastic behaviour, it is easier to form and modify the surface of PEEK implant than any other metallic implant material. The comparatively similar modulus of PEEK to human bone promotes mechanical stress relief of the bone and allows for responses to loading need to overcome structural instabilities at the bone-implant area as well as prevent bone degradation. Price-wise PEEK implant components are commercially more affordable than titanium prostheses. Until only 5 years ago, it was not possible to fabricate PEEK parts using additive manufacturing (AM) tools like 3D Printing. Most PEEK implants than have been manufactured using injection moulding methods or CNC milling techniques. These manufacturing methods do not offer the degree of design freedom needed for producing patient specific-implants using patient sourced imaging data. The 3D printing of PEEK using laser based AM methods had proven to be an expensive, complicated approach to processing this material. PEEK parts fabricated using laser based AM methods do not exhibit the properties sought in PEEK because they undergo modifications at the molecular level. Recently though, Apium Additive Technologies GmbH has demonstrated that PEEK material can be 3D printed using the Material Extrusion method. 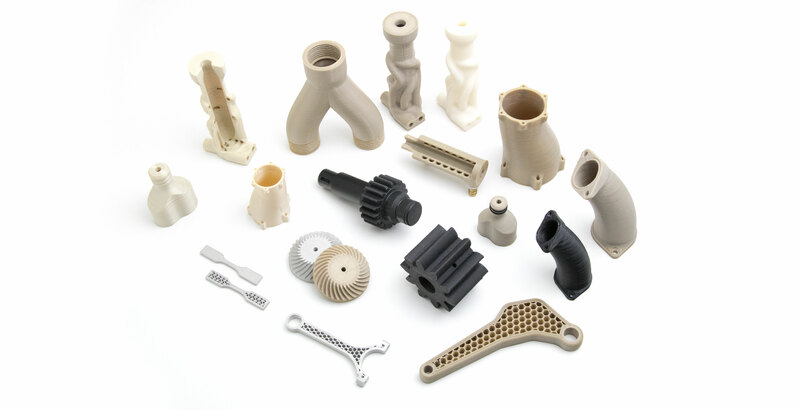 Apium’s patented technology running on their M220 series 3D printers provides manufacturers of medical devices with the rare opportunity to fabricate PEEK parts under highly affordable business conditions. The M220 machines have been conceived to preserve biocompatibility and sterile properties of processed PEEK filament, allowing Apium fulfil its promise of providing a tool capable of revolutionizing patient care. A perceivable workflow for using 3D printed PEEK implants involves; using data from CT or MRI imaging of patients to generate 3D Printer readable data formats after the raw imaging data has been analysed, segmented and reconstructed using slicing software tools. The prospect of achieving such a feat has been argued to lead to better treatment of medical trauma cases in CMF, hand and spine surgery. A critical entrance to such a high level of medical health management is through Apium’s M220 3D printer. 3D Printing Troubleshooting Guide – How to overcome 3D printing problems? G-Code for 3D Printing: What does it really mean for the print success? Discover the many possibilities that additive manufacturing offers and gain momentum for your business. Every month we inform you about our latest developments, 3D printing and high performance polymers.